19.71mm x 19.71mm / 0.776in. x 0.776in. Happy Anniversary Disc Charm by Rembrandt Charms. The width is 3/4 of an inch. 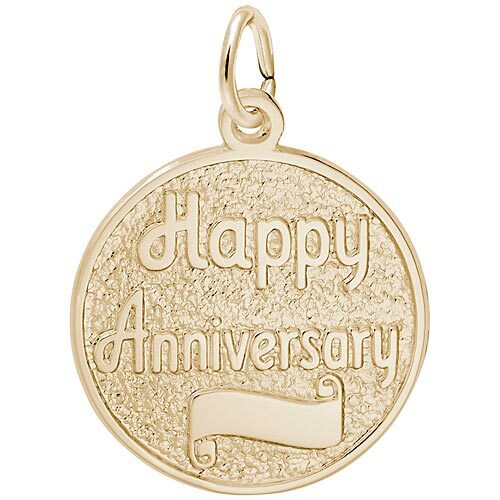 Remember your wedding day with the Happy Anniversary Disc Charm. Add something extra to this special occasion by engraving the charm on front and back.